It felt almost tropical when I went out in the morning. 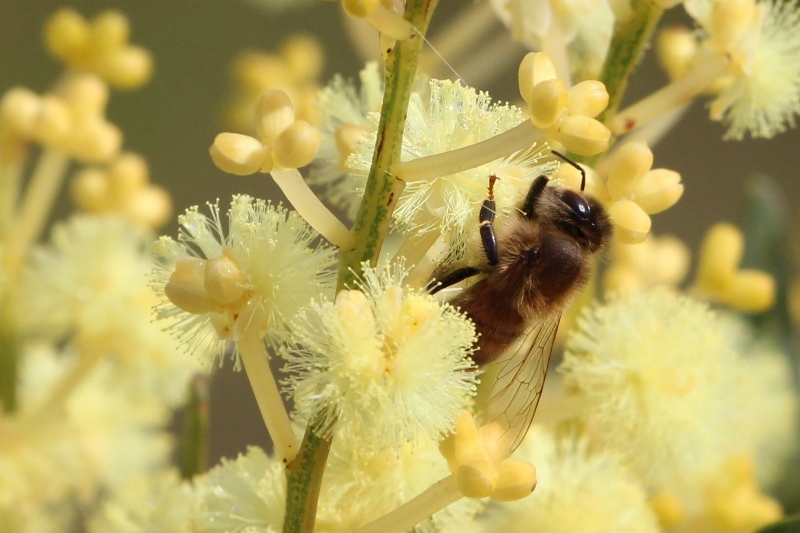 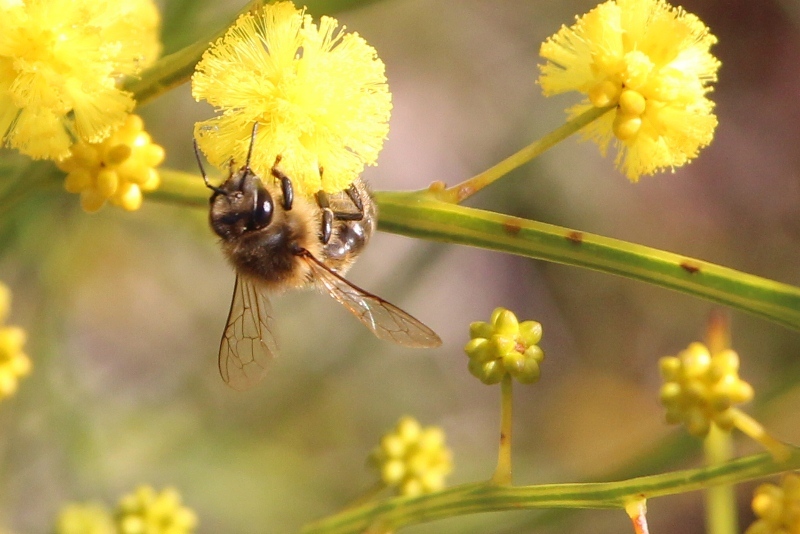 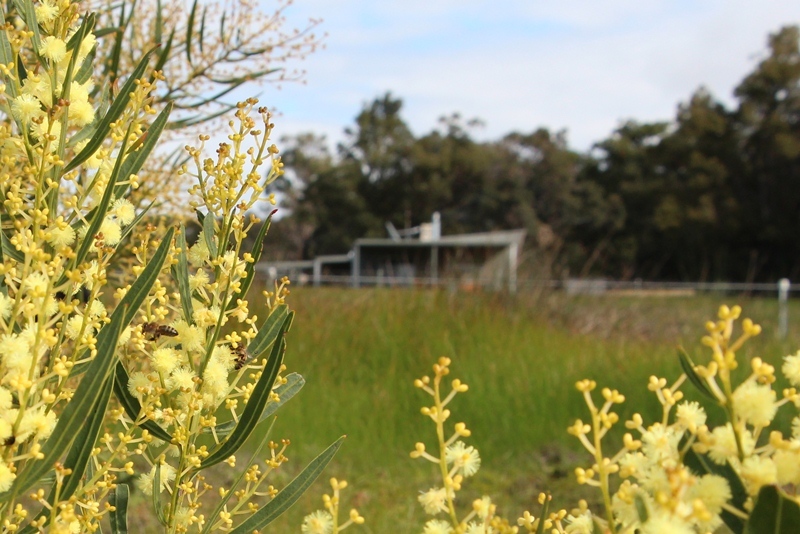 Down at the dam, the native shrubs we planted have burst into flower and are covered in yellow fluffy balls. The bees are loving it and the scent is almost overwhelming. The frogs were croaking and singing making it sound even more like summer.